Despite the very word ‘vegan’ being coined in the UK, generally Britain has still yet to catch up on the demand for good, tasty vegan food. But thankfully there’s always London. 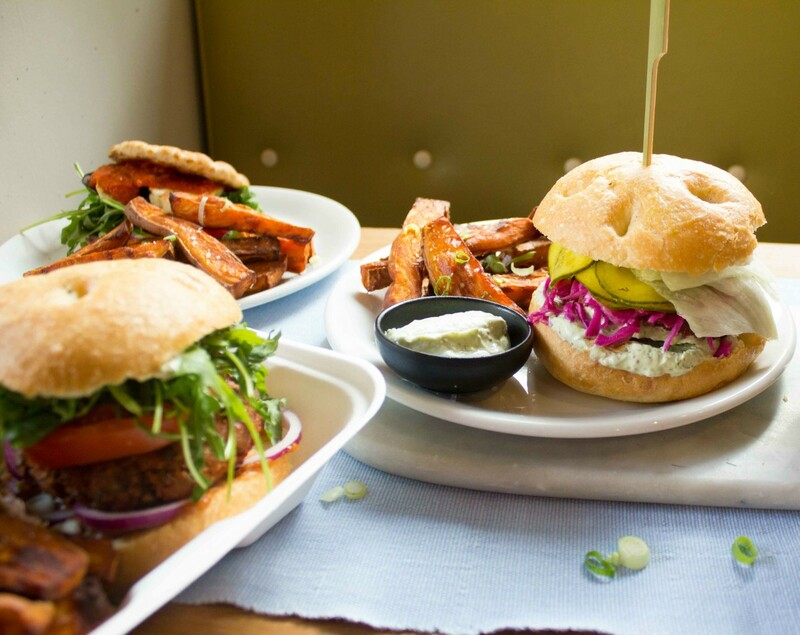 So from cafes to restaurants and everything else in between, here’s a rundown of what we think are the best vegan spots in the capital! Location: 222 North End Road, W14 9NU. If you’re a Londoner who’s deadly serious about your vegan and vege grub, then chances are you’ll know all about North End Road in W14. As well as being home to London’s only vegan supermarket, there’s also a whole host of excellent restaurants littered along the street. And for us, the best is the aptly named 222 Veggie Vegan. Offering some of the freshest vegan food you’ll in the capital, 222’s grub is low in fat, low in salt, non-GM and organic wherever possible. Not only that, it’s absolutely delicious with their Quinoa & Spinach ‘Meatballs’ or their Asparagus & Petit Pois Burger our weapons of choice. Location: 157 King Street, W6 9JT. Though some cuisines haven’t caught up with vegans, you can always rely on an Indian to have you covered. Our favourite in London is Sagar. Serving purely vegetarian meals with their roots firmly in South India’s Udupi region, any one of Sagar’s four branches are well worth a visit but our favourite found in Hammersmith. All restaurants boast accessible menus with a huge range of vegan curries, as well as vegan lentil pizzas. Location: Greenwich Market, 6 College Approach, SE10 9HY. It can often be forgotten that vegans do have a sweet tooth too. And Rubys of London brings something truly special to the table. 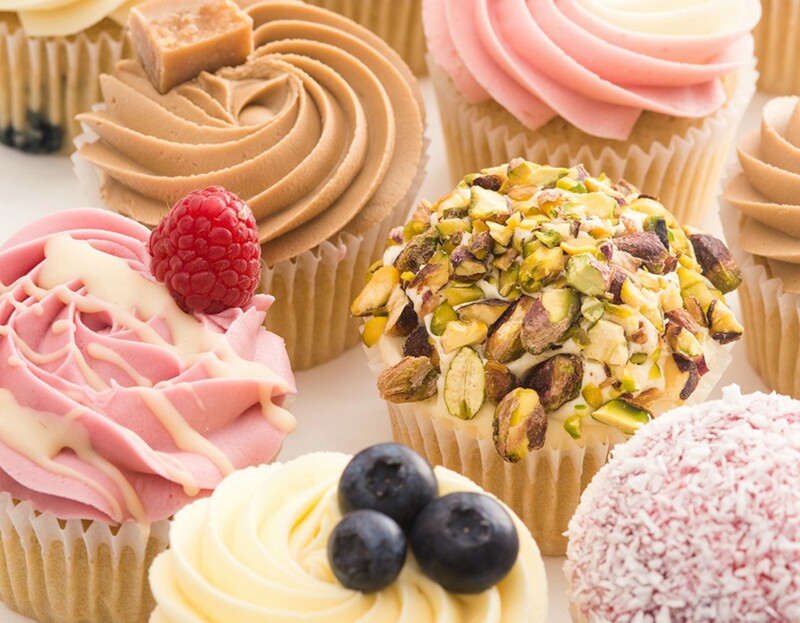 The award-winning vegan patisserie can be most at the weekend at Greenwich Market with a range of dairy-free cupcakes, doughnuts and large cakes which can also be made free from gluten, wheat and sugars. The high quality creations are made using only the finest ingredients, with everything looking as good as they taste. And if you can’t make it over to Greenwich, a variety of cakes and doughnuts can be ordered online. Location: 45 Lexington Street, W1F 9AN. Mildred’s is one of London’s true veggie institutions. Having opened in Soho in 1988, Mildred’s has taken the capital by storm and can now be found in various locations across London, including King’s Cross, Dalston and Camden. Our favourite, though, is the original Soho 18th century town house on Lexington Street. The atmosphere is lively and informal with no bookings taken – you can grab a cocktail at the bar while you wait though! Mildred’s range is probably the widest you’ll find and their lunchtime take away bar, offers fresh salads, soups, quiches and daily specials. Location: 182 Stoke Newington Road, N16 7UY. If you’ve just given up meat but find yourself still hankering after a cow or pig, the best place to find it is at Biff’s Jack Shack. Specialising in ‘filthy AF’ vegan junk food, all of Biff’s creations are made with jackfruit, which has a texture similar to pulled pork when cooked. 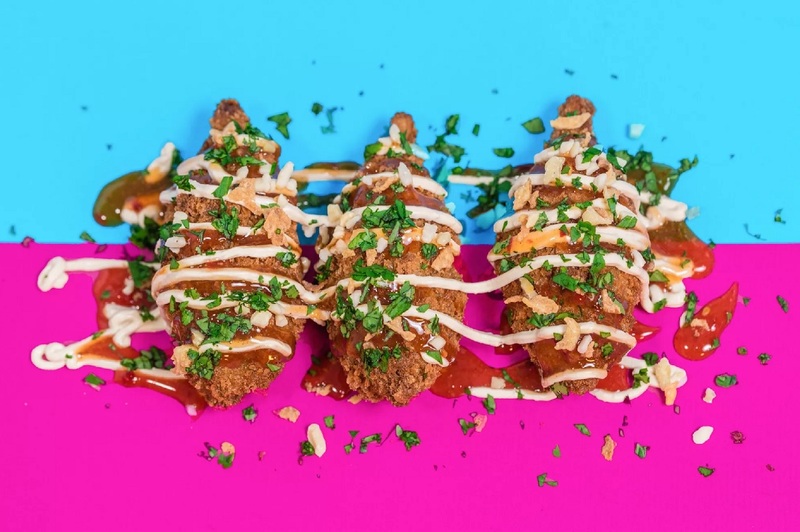 The deep fried fruit is served as ‘wingz’ or in well-stacked burgers, with chipotle slaw, smokey bacun jam and burger ‘cheese.’ Biff is always popping up at street food markets, including Broadway Market on Saturdays, but the Dalston restaurant is worth a visit. Location: 5-6 Picton Place, W1U 1BL. Vegans always miss out on the good stuff… until now! 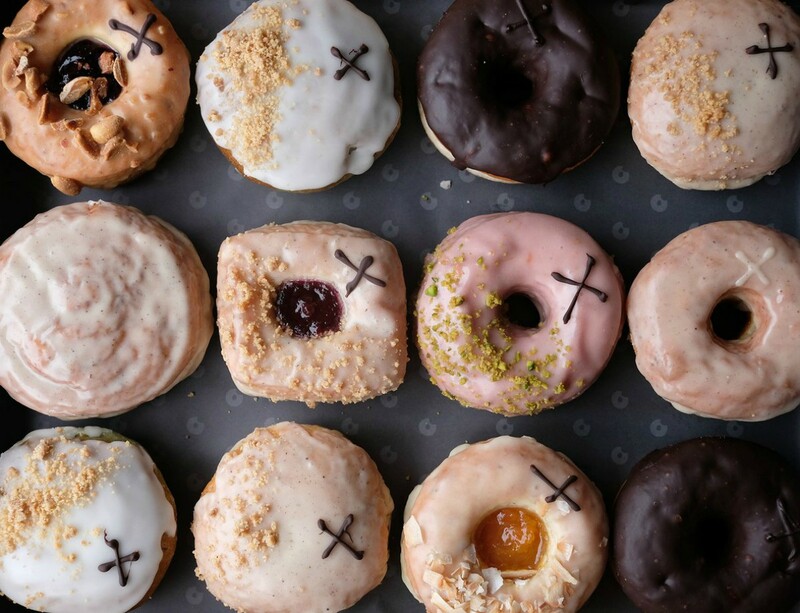 And that’s because Crosstown have just opened a doughnut haunt in Marylebone which doesn’t have a stick of butter in sight. 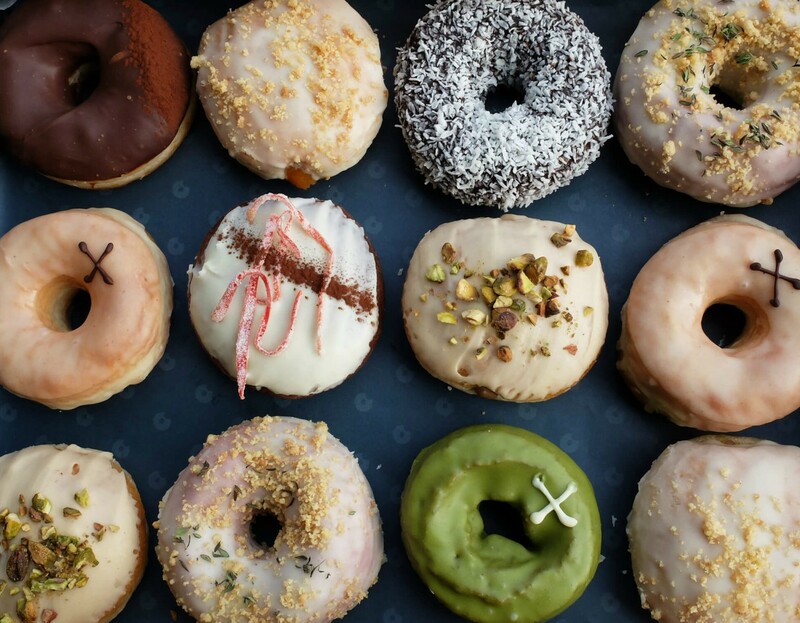 Yes, it’s FULLY vegan with the menu featuring innovative flavours, like a pink beetroot doughnut with crumbed pistachios and a blood orange glaze, and a spirulina doughnut with coconut custard and a lime glaze. There’s not much room to sit and enjoy your donut with only three bar seats and two outdoor tables, but you can grab a coffee and an animal-free doughy treat to take away instead! Location: 17-18 Took’s Court, EC4A 1LB. 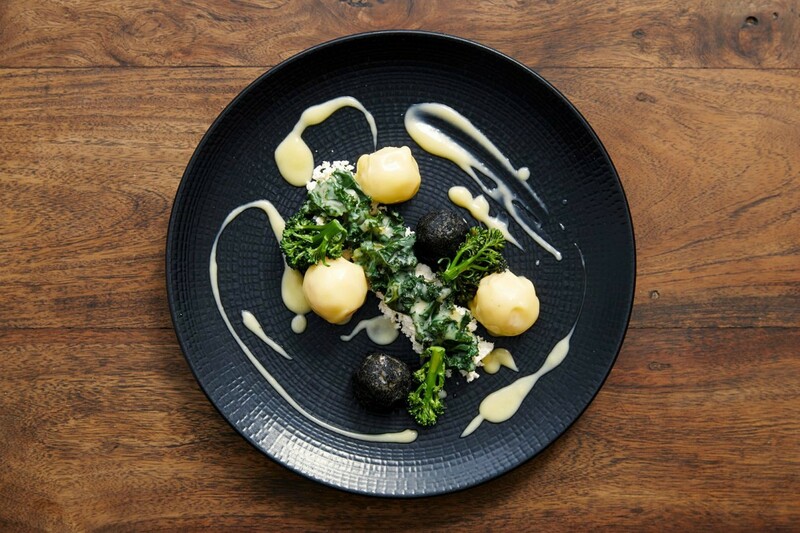 If you’re after a little more sophistication, Holborn eatery Vanilla Black is one of, if not the, best vegetarian restaurants in London. Serving exclusively meat-free dishes, the fact that food here is vegetarian is not the point; the dishes are created at Vanilla Black to be forward thinking and challenging with every and all dietary requirements taken care of without a second thought. It’s not cheap with the vegan five-course dinner with wine pairings setting you back £87 per person, but you’ll struggle to find much better dedicated vegan food around. If you’ve been giving up chocolate for lent, to give you something to aim for, here’s a list of the best chocolate cafes and shops in London!